Ok cacophony means numerious different sounds going off at same time like five tvs on five different channels in one room all loudly playing. What is the equivalent for smell? These two men circa college age set up a booth. I entered the aisle and was assailed by this horrible odor. I said “better not be anything good in this row” to myself. I walked down it looking left and right thinking “clothes need to be washed”, “good god vhs tapes”, “garbage for trash” with the odor becoming stronger. I then hit the booth. Two men circa college age had water pipes, skull incense thingies, and joss sticks. They had about ten joss sticks lit up. I am sure all different odors. If I was a dealer around them I would have complained asap. That smell and smoke will just get into your stuff. I realize its outside but with the smells hitting the tables in the aisle at odor will stick to the stuff. I fnished the aisle quickly. Then later on I met my mother at the food area. I was sitting drinking a Diet Coke which I paid a dollar for. It was my only purchase. My mother had a few bags. She gave me one. Now guess which aisle she took to head back to the car? Yup the incense aisle. She did admit she realized the aisle she was in too late and did not want to backtrack. I come across good college students who sell their stuff at fleamarkets. I have bought comics, videogames, novels etc at really good prices. I tend not to haggle with them since I know they are on tight budgets. 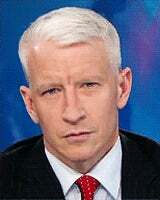 But these two college students I just gave them the Anderson Cooper “are you kidding me”. I knew a woman years ago who sold incense and joss sticks. She only lit one when a customer was asking about one. So if a customer was interested in vanilla the dealer lit one so the customer would know what it smelled like. Then she blew it out after the sale or if customer did not buy. That’s what these college students should have done. Yeah I am mentally Gordon Ramsey at fleamarkets when walking around. This is the type of water pipe I am talking about not the plumbing kind. These are the insense skull things.